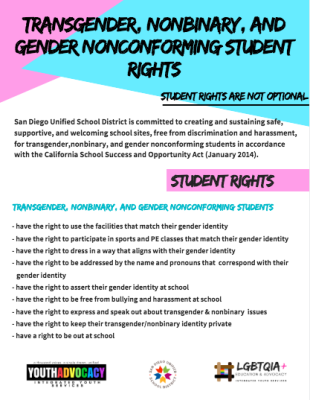 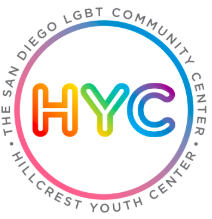 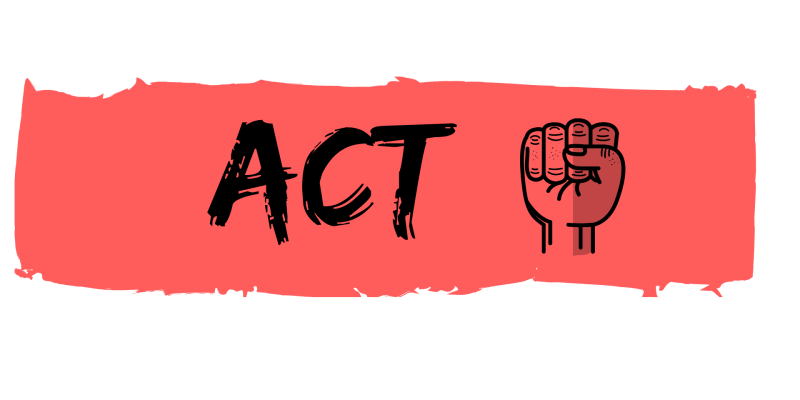 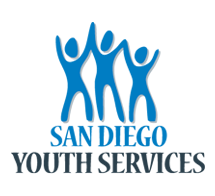 San Diego Unified School District is committed to creating and sustaining safe, supportive, and welcoming school sites, free from discrimination and harassment, for transgender,nonbinary, and gender nonconforming students in accordance with the California School Success and Opportunity Act (January 2014). 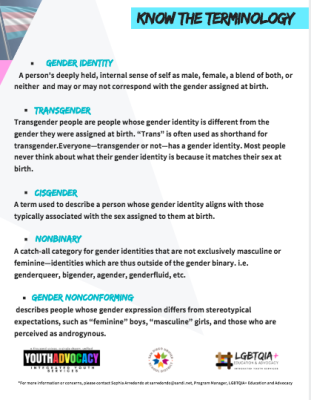 Learn some of the key terminology that clarifies GENDER IDENTITY, TRANSGENDER, CISGENDER, NONBINARY, and GENDER NON-CONFORMING. 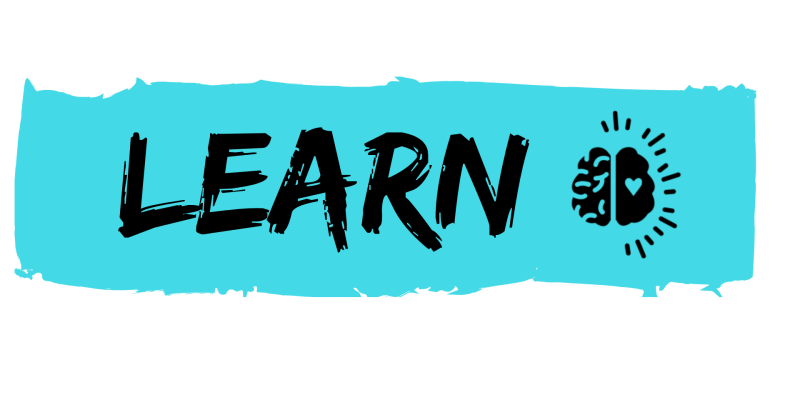 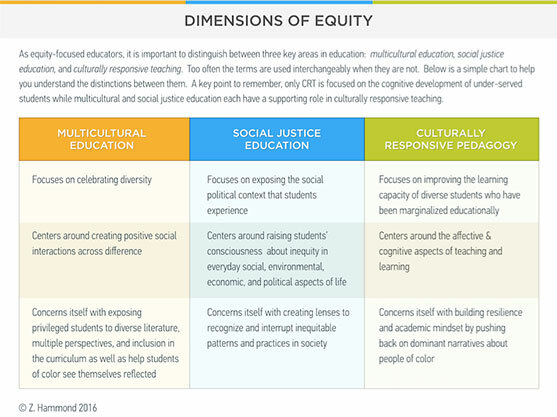 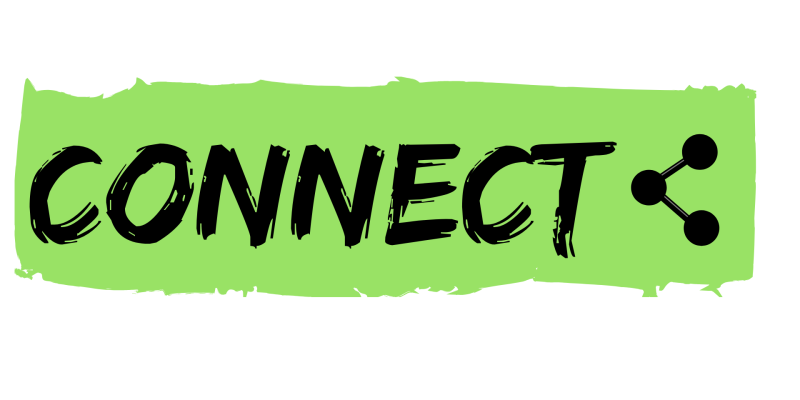 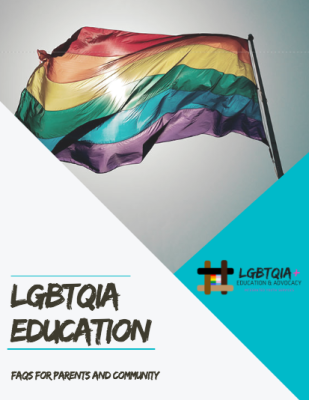 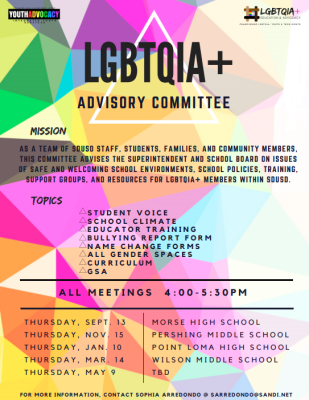 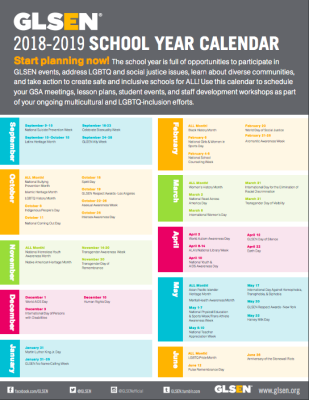 your GSA meetings, lesson plans, student events, and staff development workshops as part of your ongoing multicultural and LGBTQ-inclusion efforts. 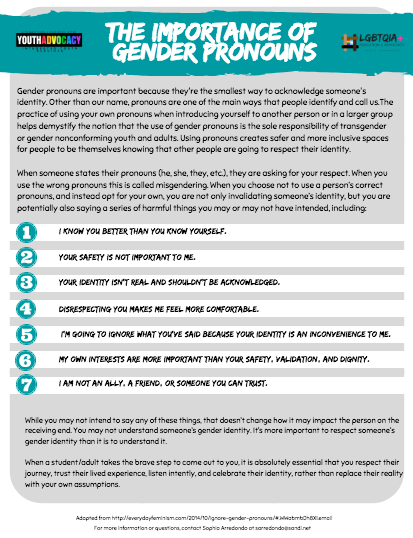 people are going to respect their identity.